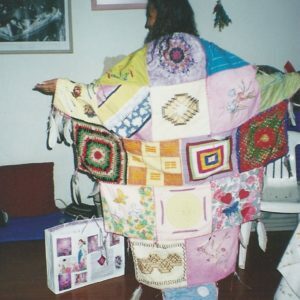 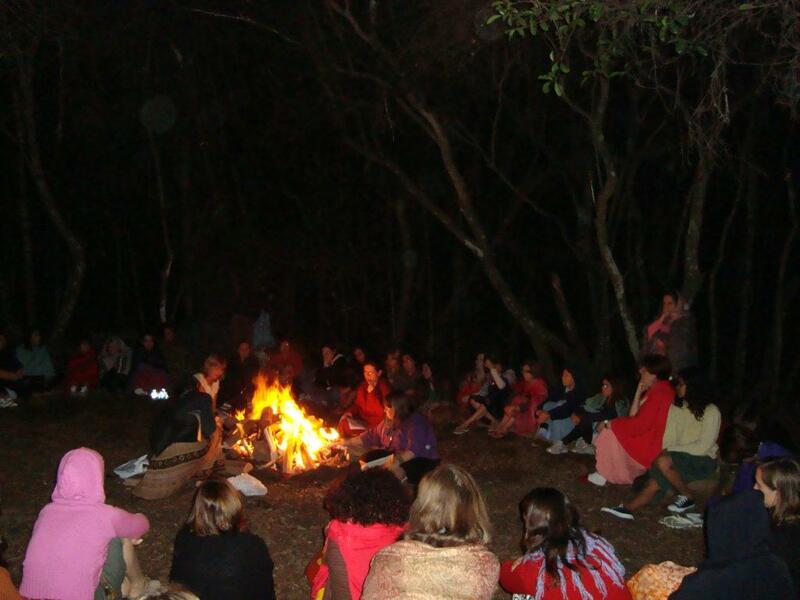 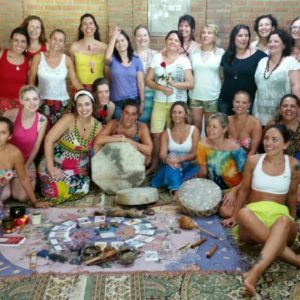 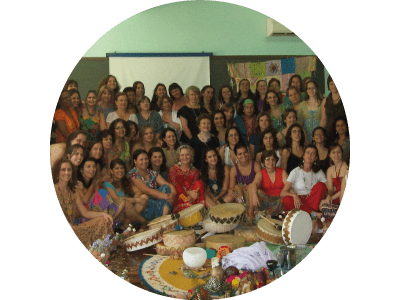 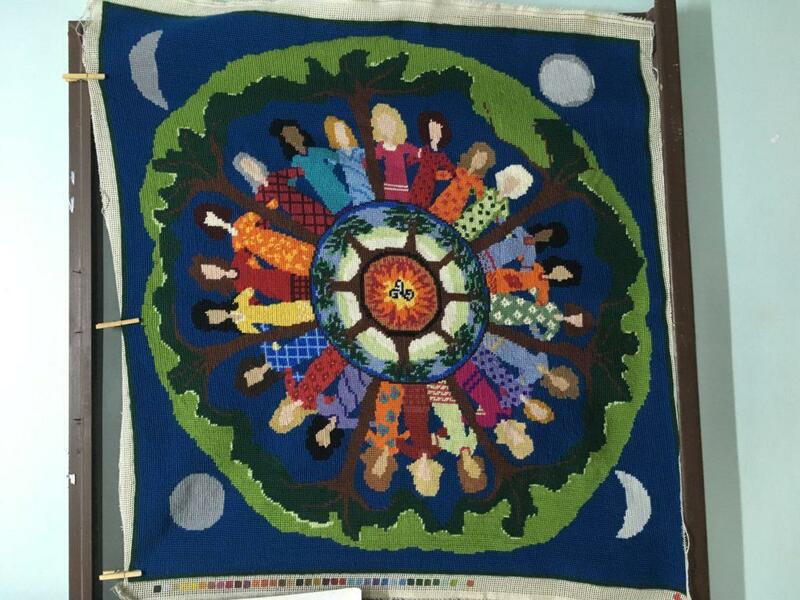 The Circulos Femininos Tendas e Clãs do Sul ® (Women’s Circles Tents and Clans of the South) are, above all, a community of diverse women, who choose to walk together weaving dreams and nourishing affections. 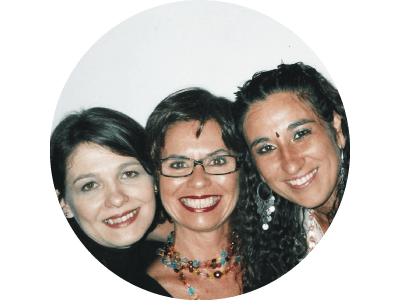 It is a network that grows every year, intertwining between rural and urban territories, between seas and mountains, having sisterhood as the main bond. 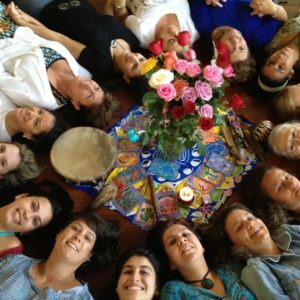 It is a space in which we learn to love and to be loved, for all our relationships, with surrender and trust. 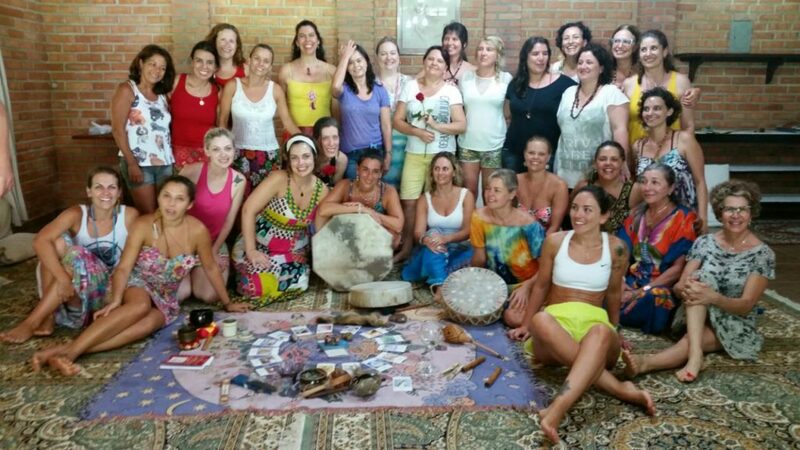 In a world so ephemeral, where we are overwhelmed by demands and routines, the Circulos Femininos Tendas e Clãs do Sul ® arise out of a deep desire to discover, after all, what does it mean to be a woman? 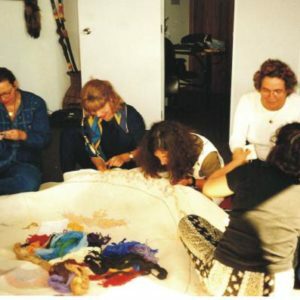 In our modern times, many ancestral practices that aided in the strengthening of social fabrics were lost, leaving many of us helpless and without references to how to flourish as women.  Others received less than salutary references, which, instead of encouraging the free expression of their beings, create prisons that reinforce obsolete and limited standards. 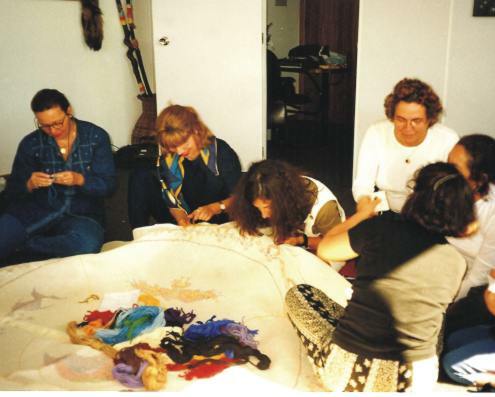 It was with the intention of breaking with these moorings and creating a safe space for the discovery that a group of friends began to meet in a systematic way. 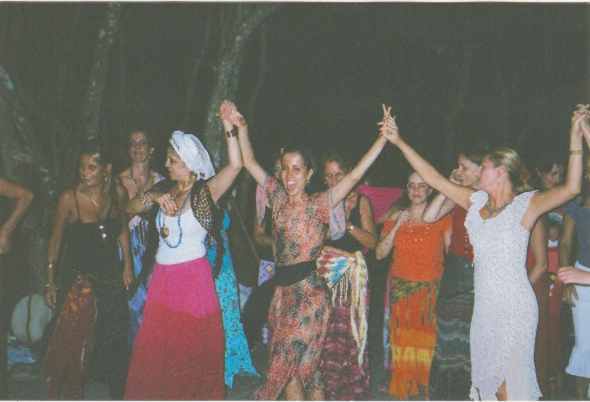 It was a fluid and highly experimental movement, in which each dared to be a woman among women. 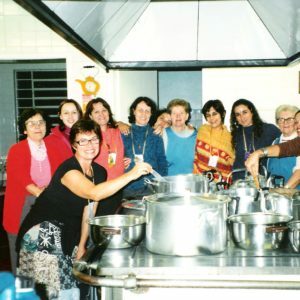 Thus, an egregore of intimate and sacred connection between daughters, sisters, mothers, grandparents and friends was consolidated. 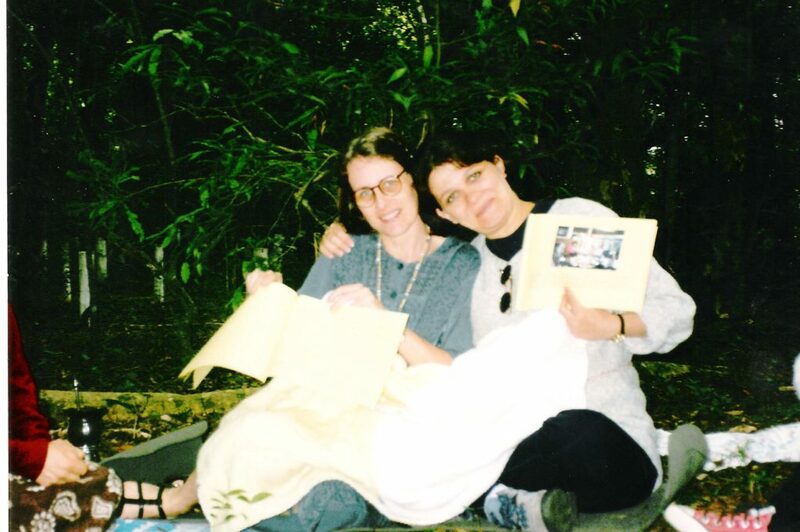 These feelings of sharing, sisterhood, daring and belonging continue to guide this journey that completes more than 20 years. 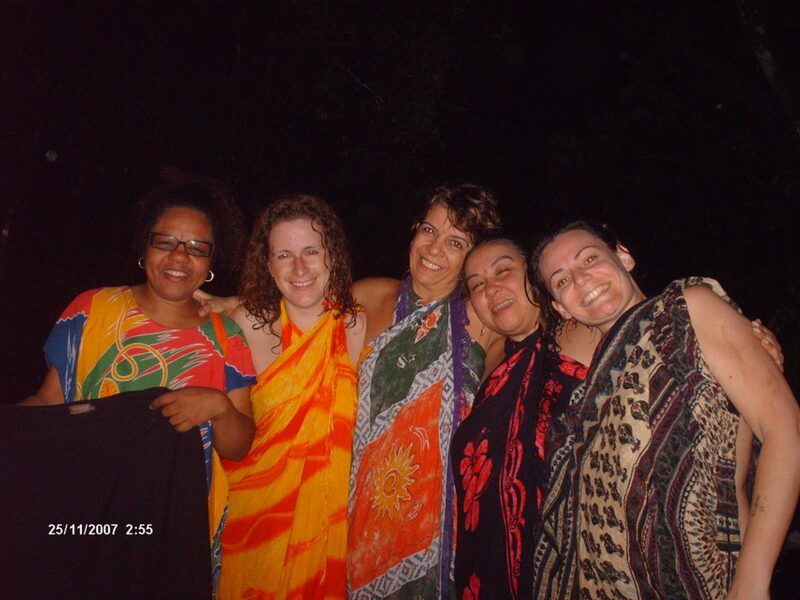 Every year new women arrive and our bonds are strengthen and renewed on this journey. 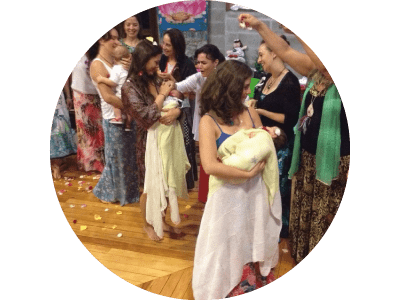 Those who came before welcome and guide the new generations; these, in turn, reinvigorate the certainty that, together, we go further.  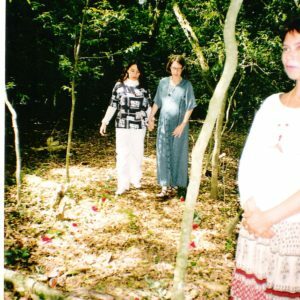 More specifically, our story begins in 1993 with Lúcia D. Torres, a young mother, an astrologer and yoga instructor, who was thirsting for deeper connections. 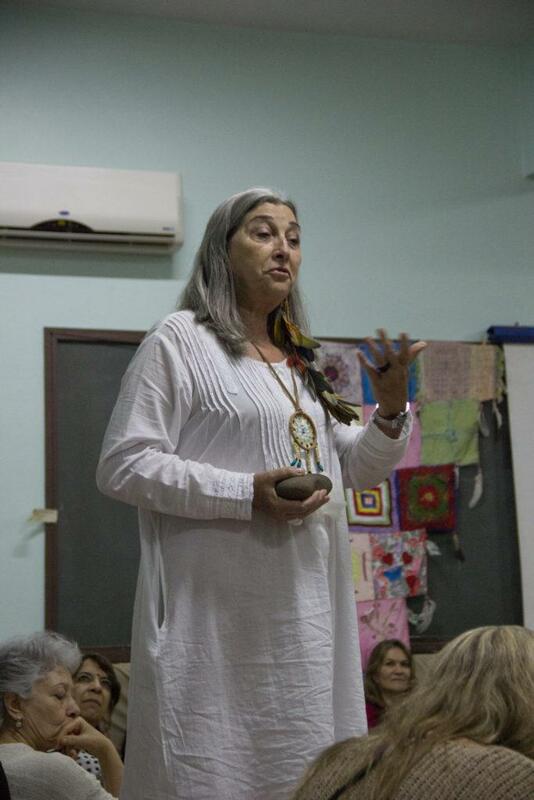 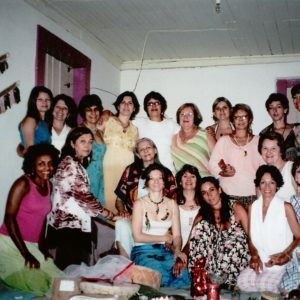 After participating in a workshop called ``In Search of the Rescue of the Feminine Identity``, Lúcia felt extremely provoked by what she experienced. 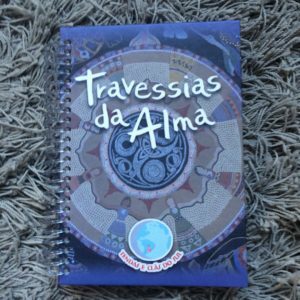 The activity facilitated by May East and was based on a transcultural map of human archetypes related to the elements of nature developed. 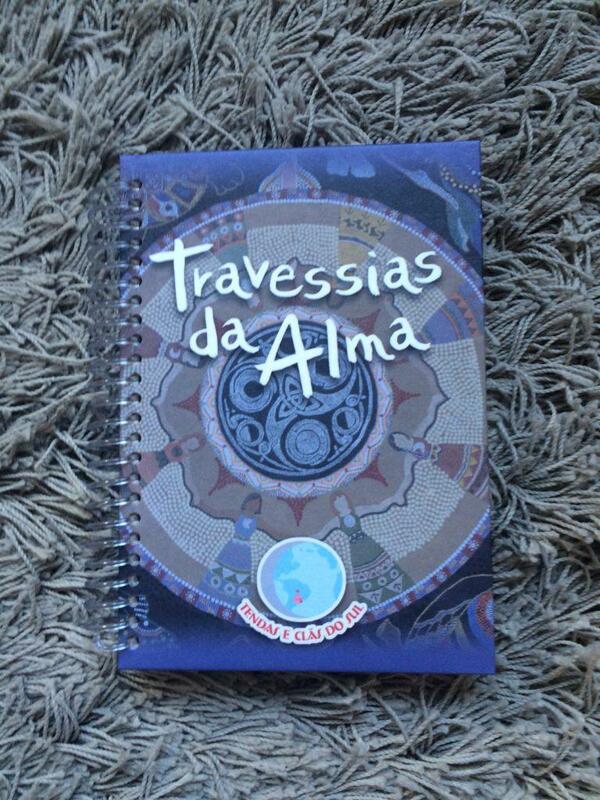 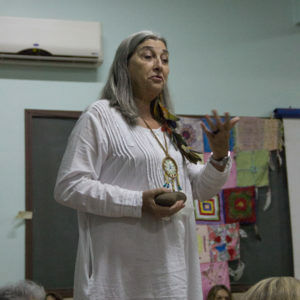 Originally, this works is proposed by the American anthropologist Angeles Arrien. 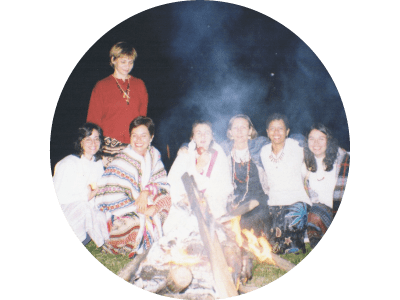 This cross-cultural map is presented in the book ``The Quadruple Path`` in which Arrien summarizes her studies with shamanic traditions and indigenous communities, offering an instrument of self-knowledge that encourages people to go towards their heart and soul. 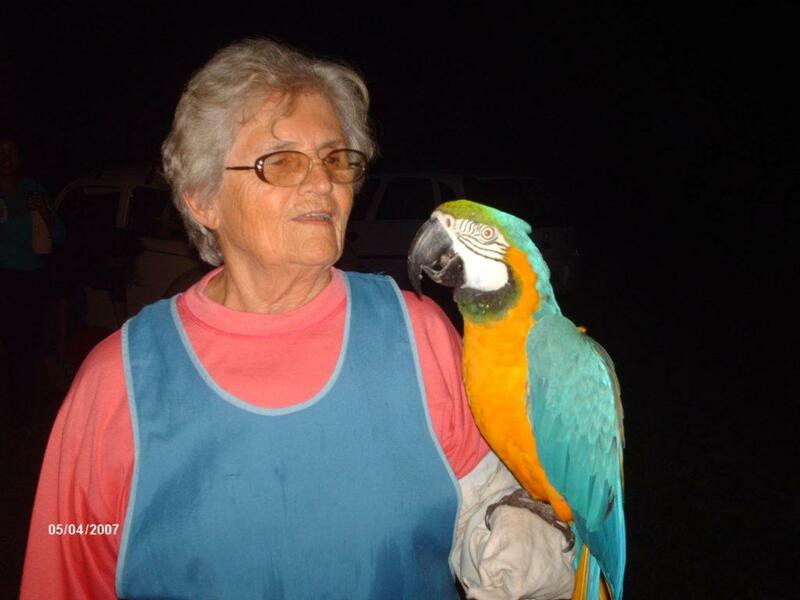 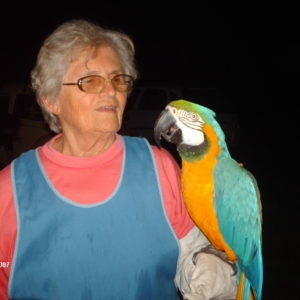 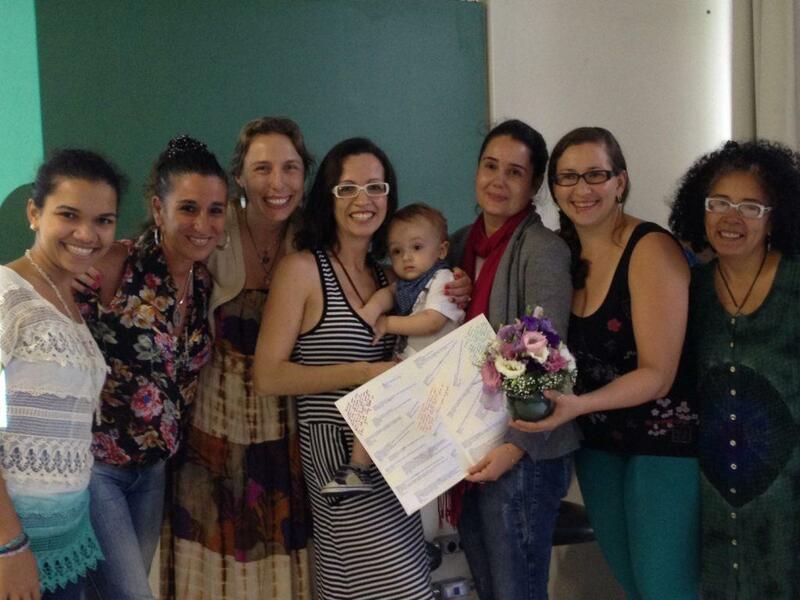 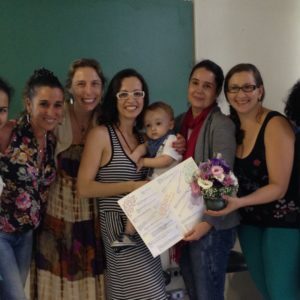 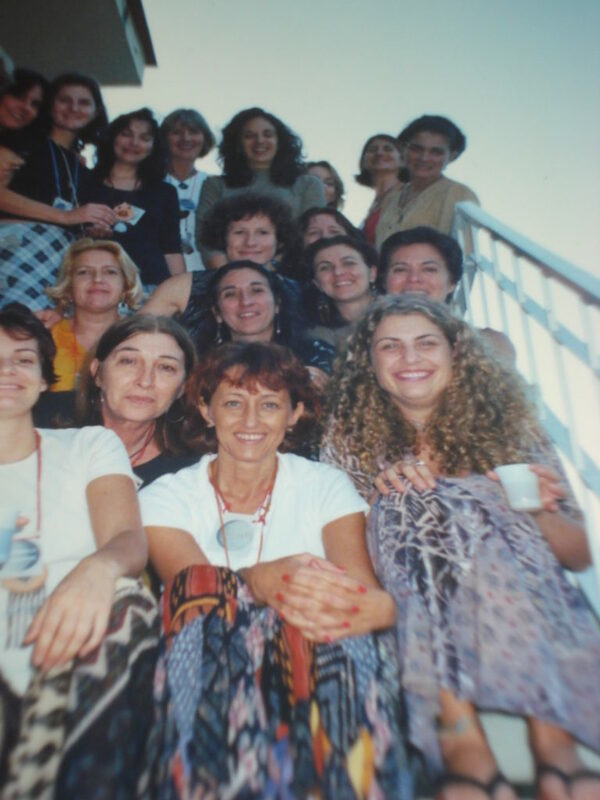 Inspired by this knowledge, Lúcia touched her friends and students who enthusiastically decided to became part of the circle. 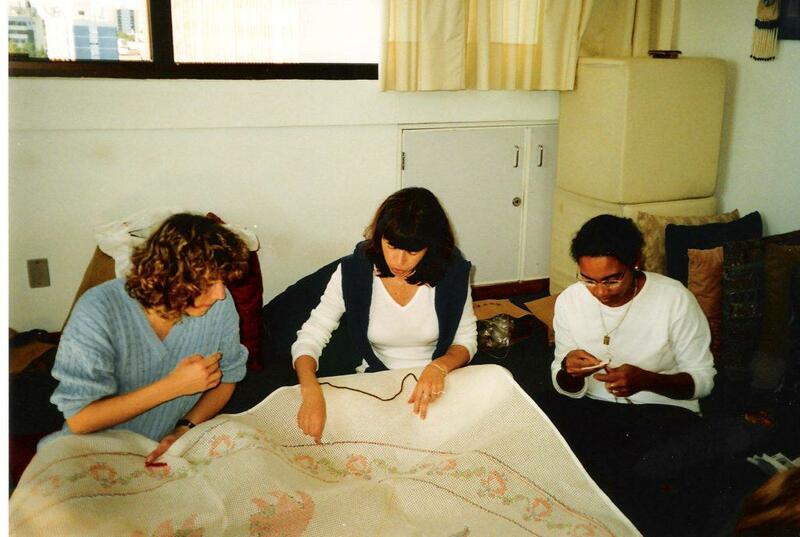 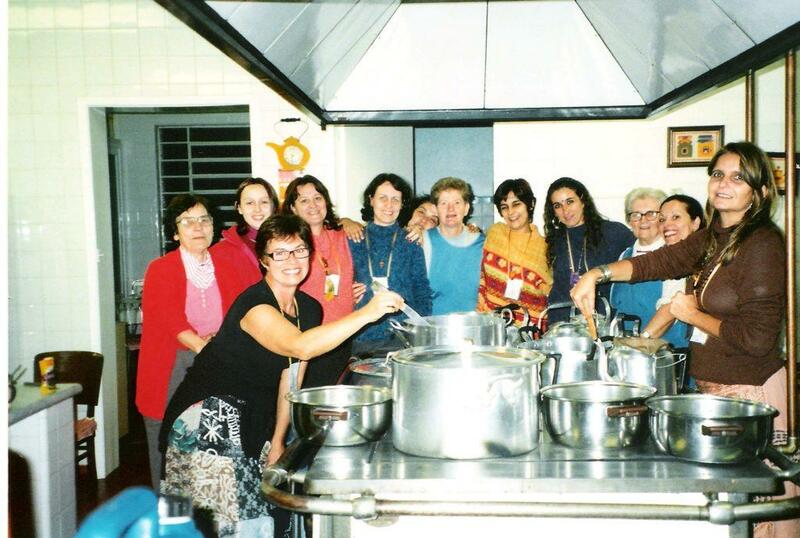 Thus, during 1994, every part of the work that she named at that time Circulos Femininos Tenda da Lua (Women's Circle Tent of the Moon) was dreamed. 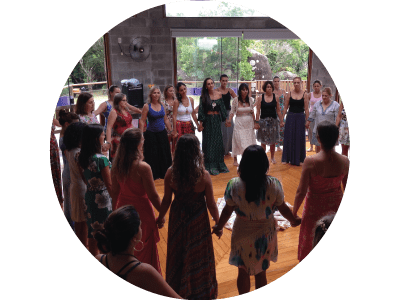 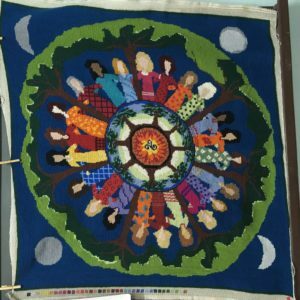 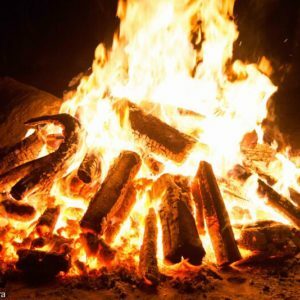 From there, they began monthly meetings on the new moon, bringing together women interested in experiencing different roles and facets of the feminine from correlations with Greco-Roman mythology and astrological archetypes. 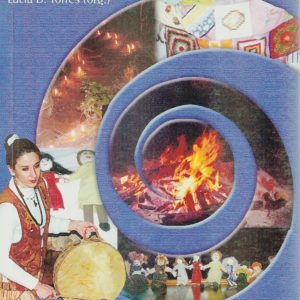 When it was released, this work was totally original, creating an archetypal and experiential methodology, complemented by transcultural songs and ritualistic practices of connection with the four portals. 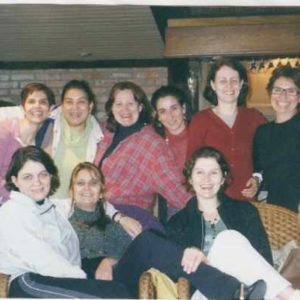 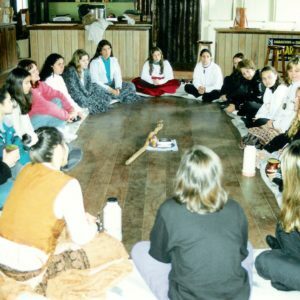 In March 1995, the first open meeting was held, where some women took their daughters and friends to meet the work proposal. 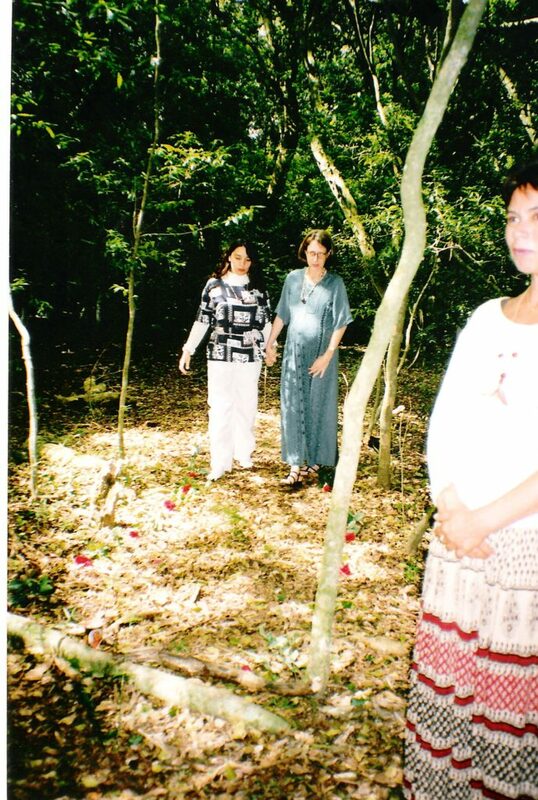 From this encounter, the embryo of the ``Tent of the Earth`` appeared. 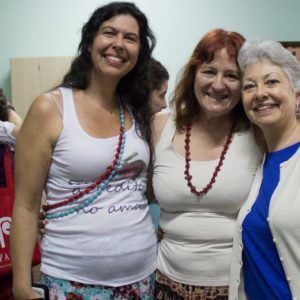  The open meetings continued to be maintained, but, more and more, requests were made to allow more people to enter the circle, which was difficult, since it already had a rhythm and a trajectory... 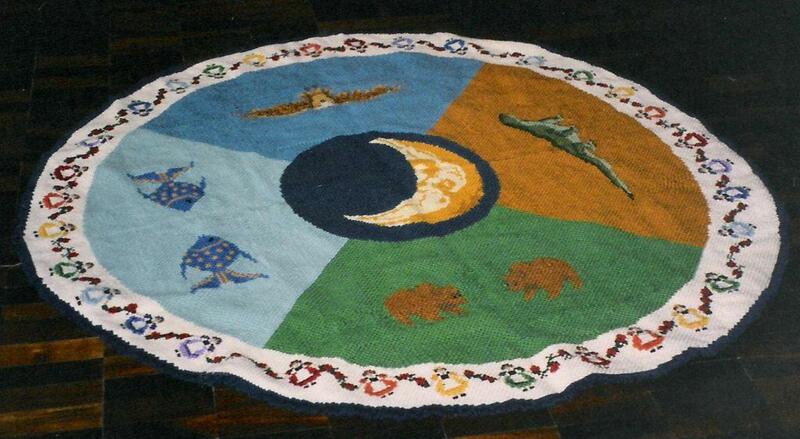 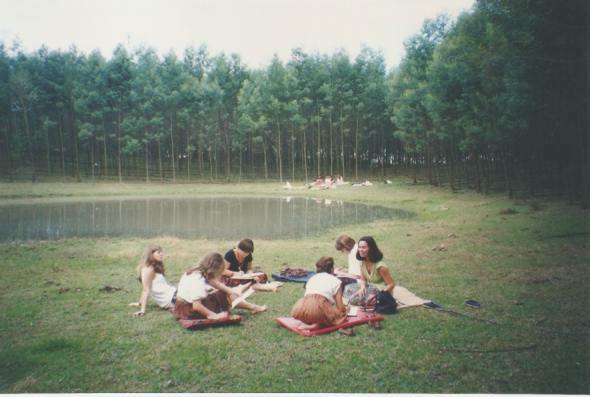 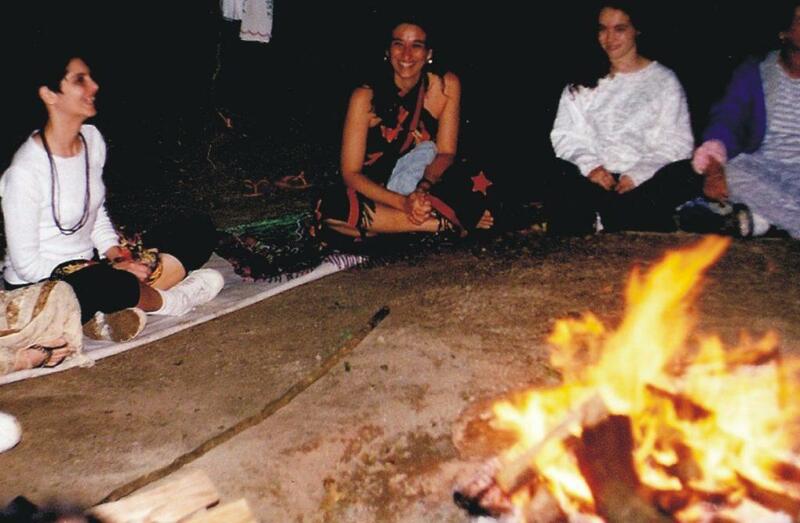 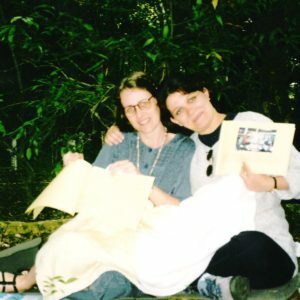 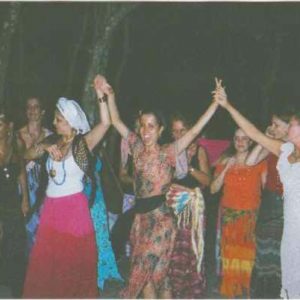 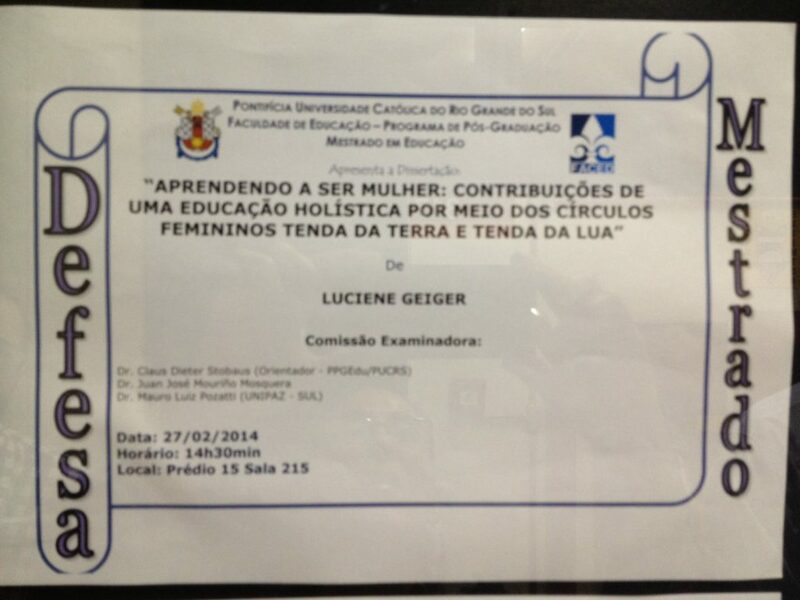 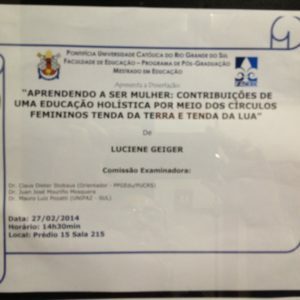 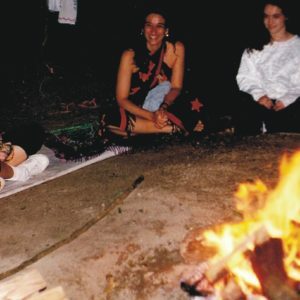 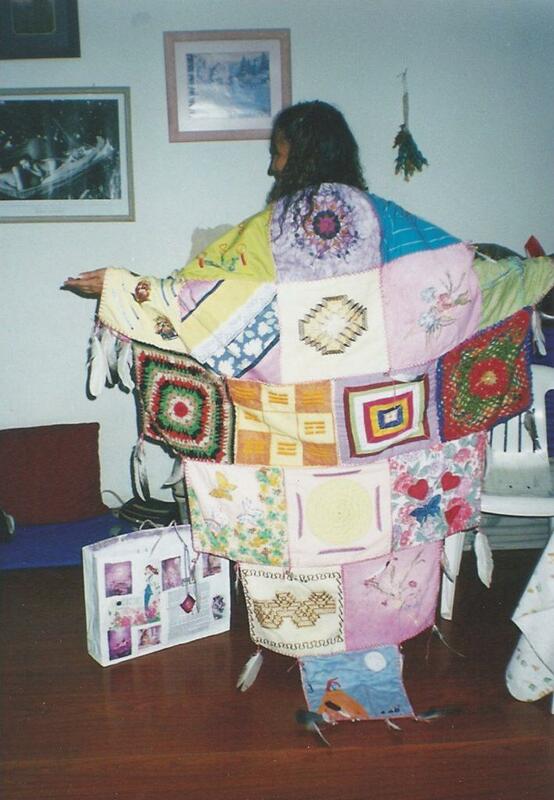 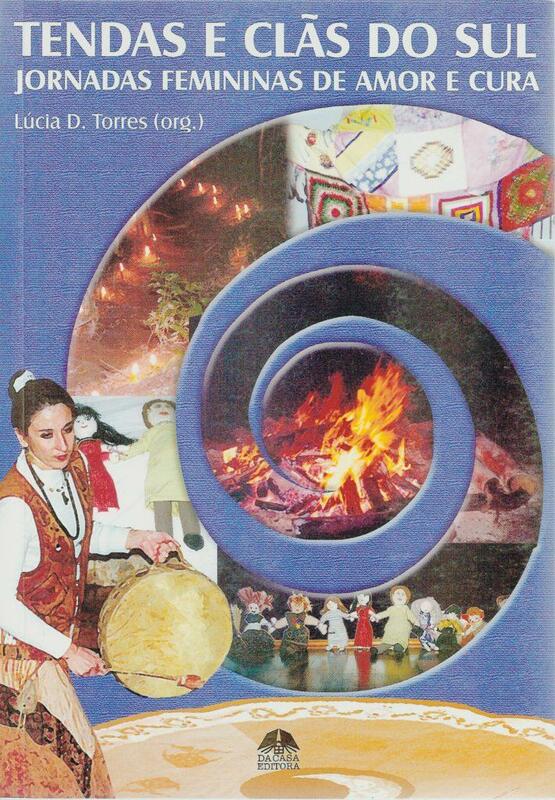 Looking to deal with these requests in 30 of June 1995, Lucia created the Circulos Femininos Tenda da Terra (Women's Circle Tent of the Earth), an initiation to the Tent of the Moon. 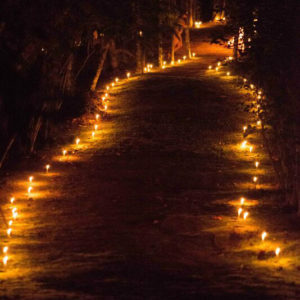 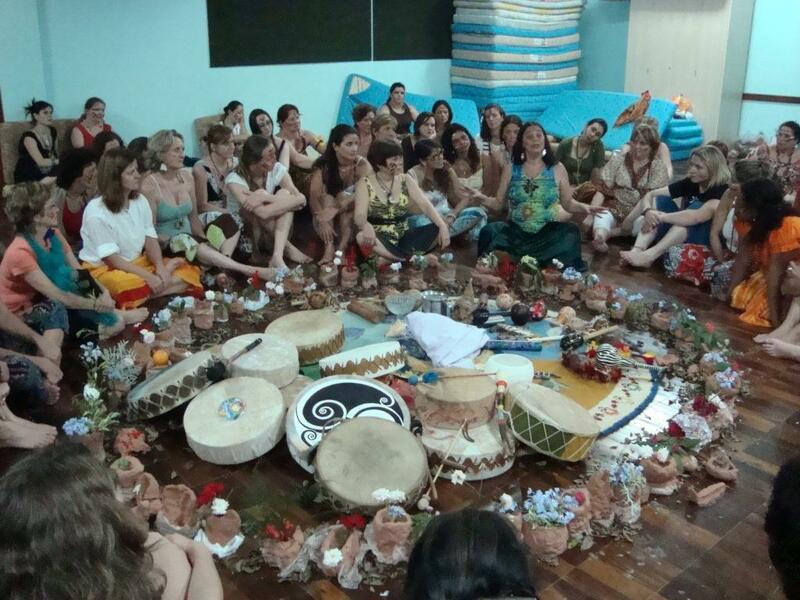 Thus, the initial cycle was completed: women who fulfilled their journey in the Tenda da Terra and lived the final ritual, could continue their journey in the Tenda da Lua, which required more commitment and affinity with a spiritual proposal and planetary service. 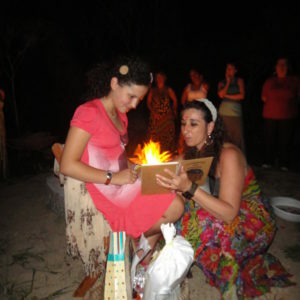 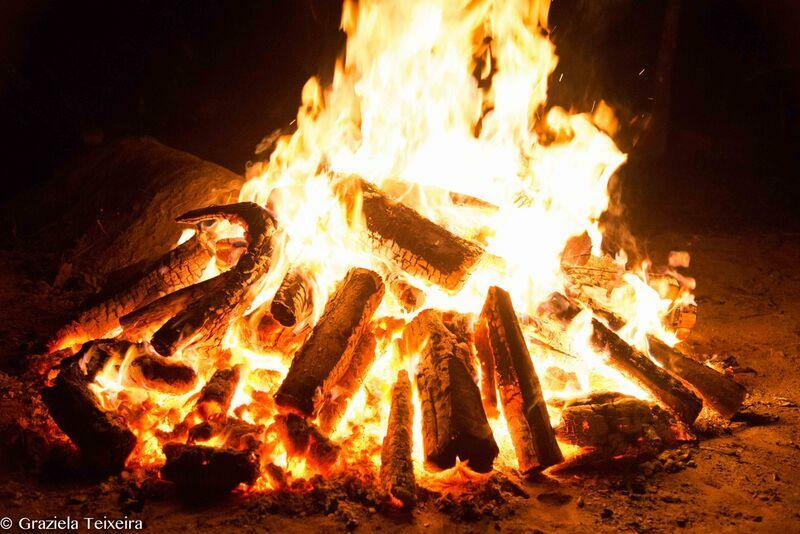 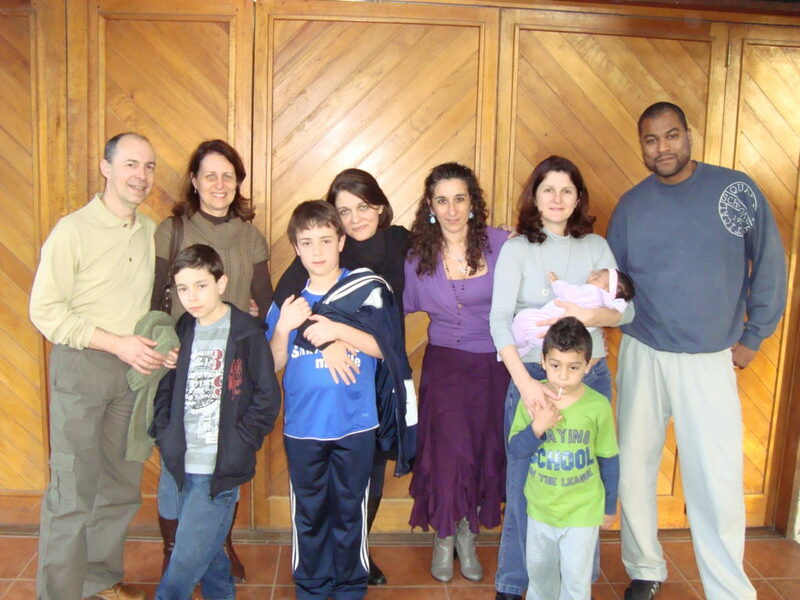 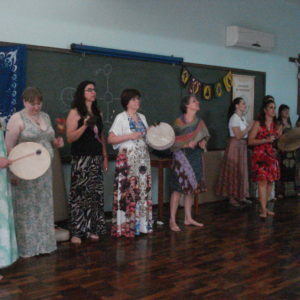 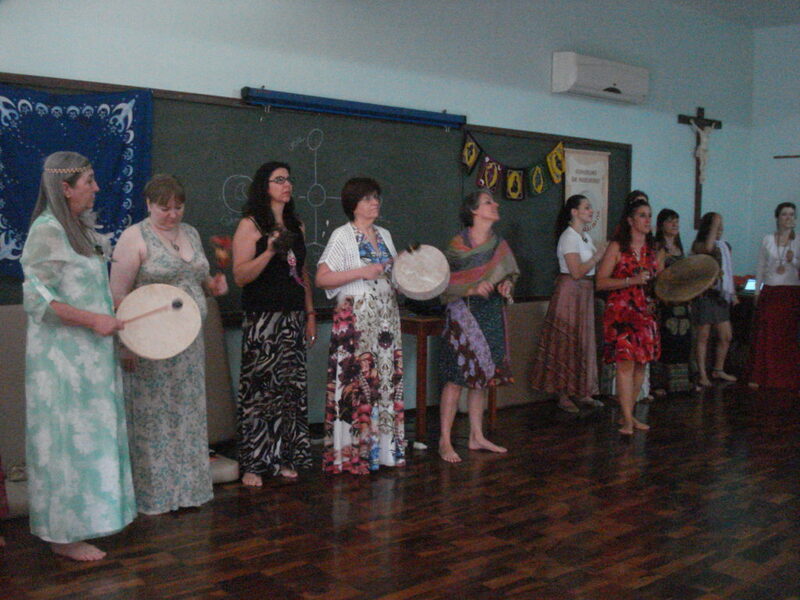 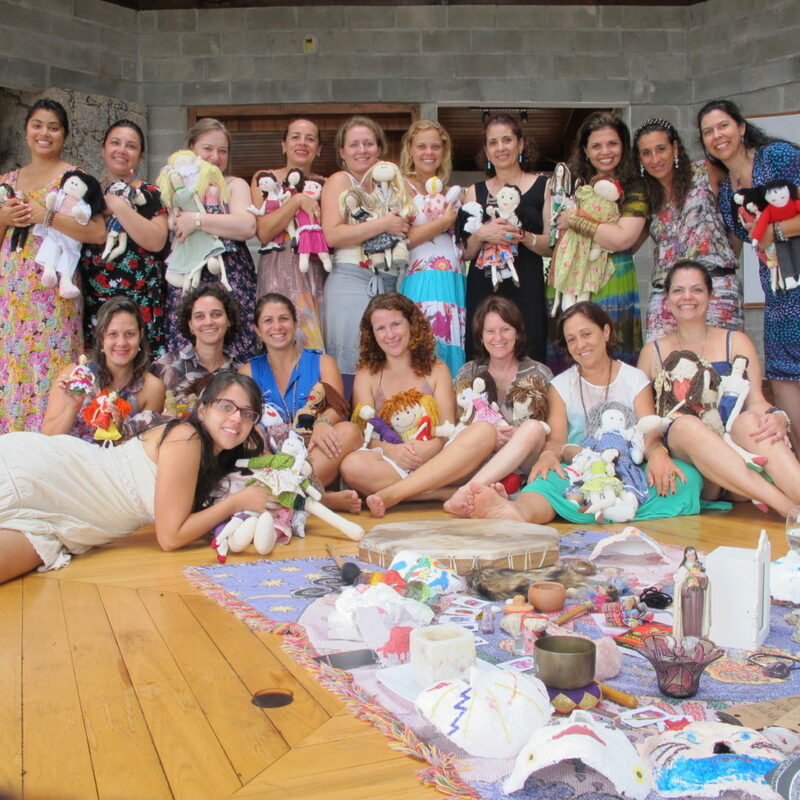 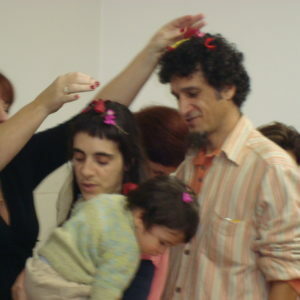 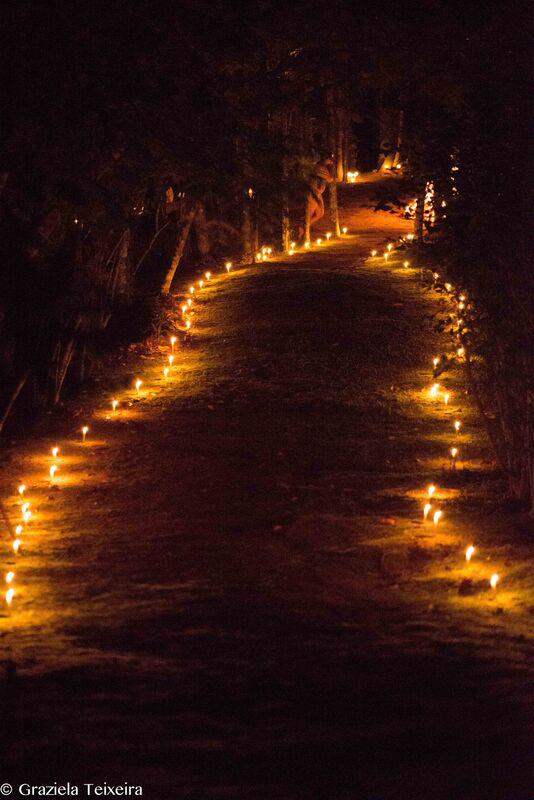 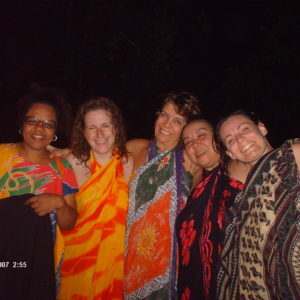 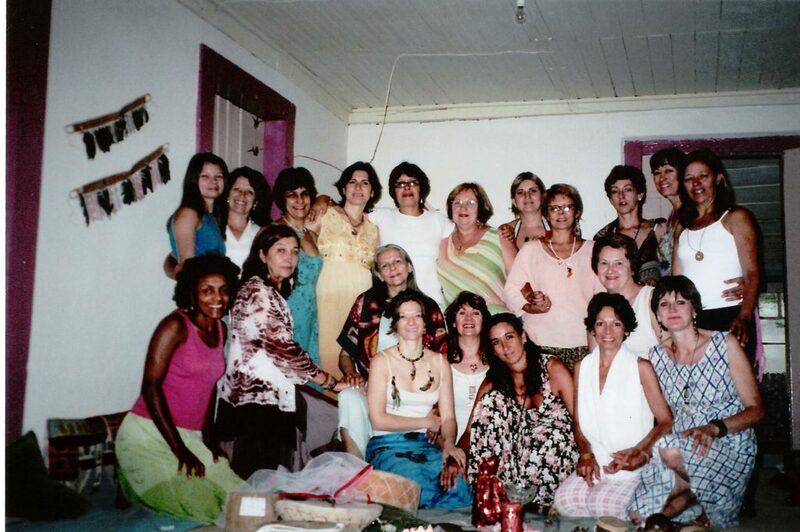 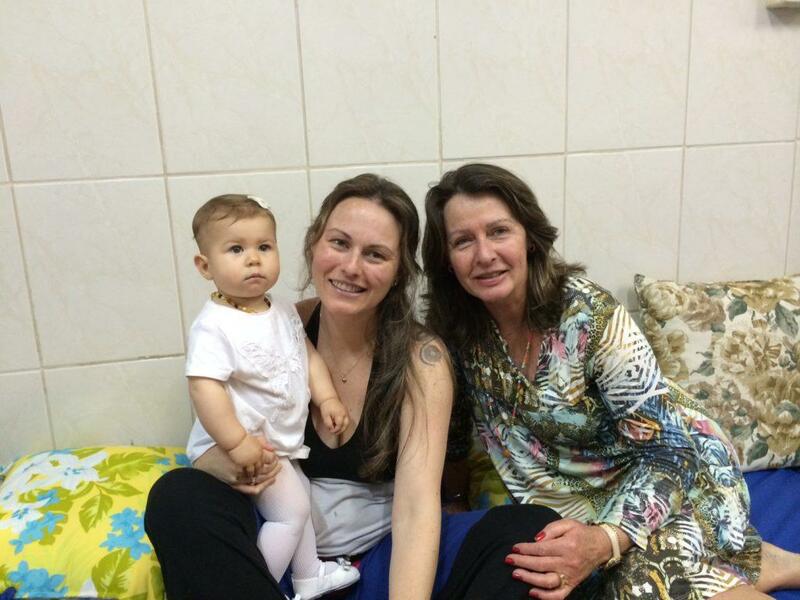 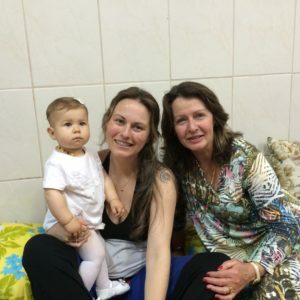 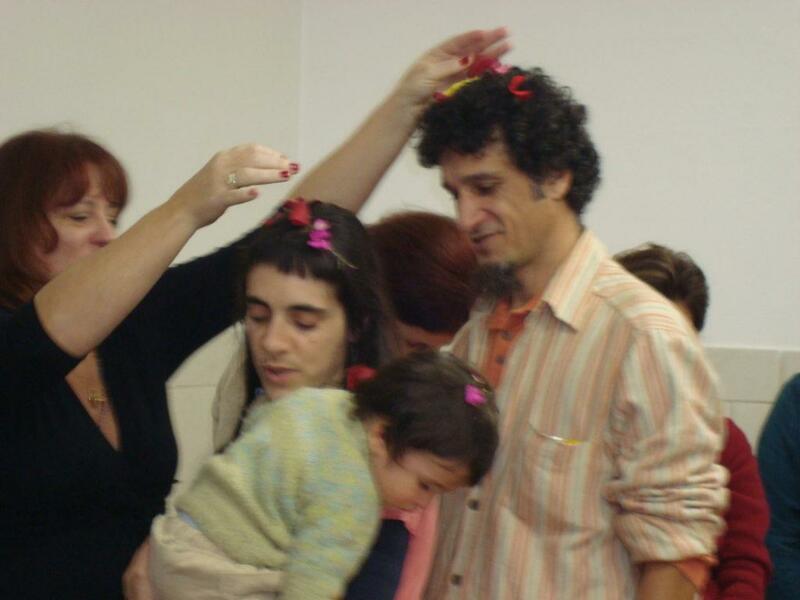 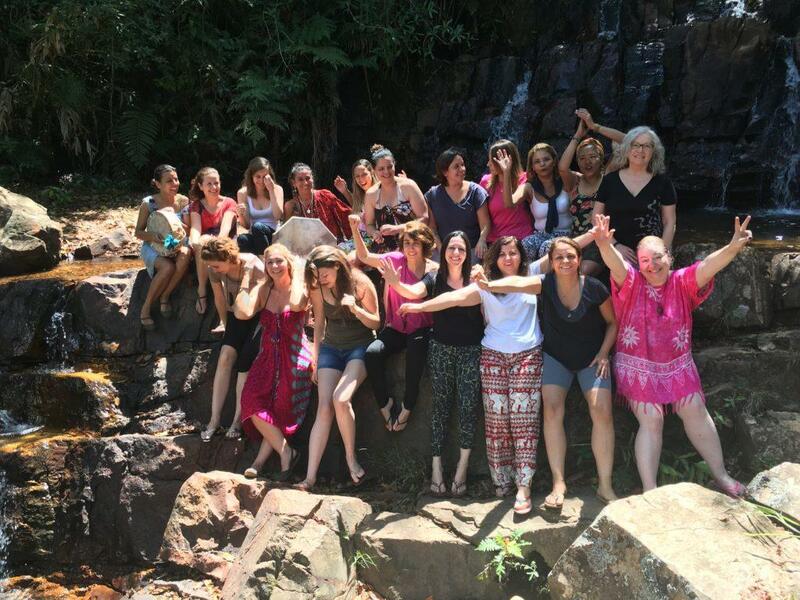 The women of the Tenda da Lua, on the other hand, created a ritual of passage to welcome the new members of the Tenda da Terra and established a lineage of godmothers and goddaughters during the four years. 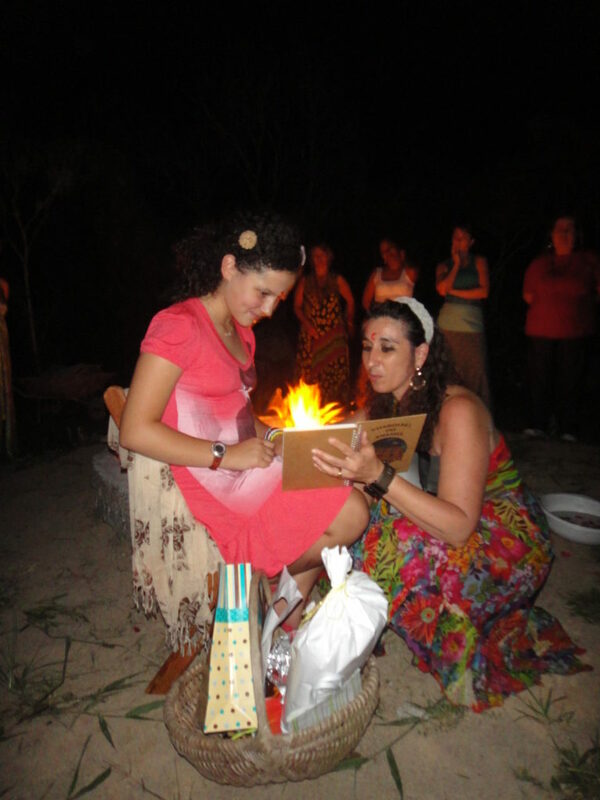 A letter of principles for the group's intentions was written, the document is always read in two moments: at the commemoration of our anniversary when we confirmed our presence for another cycle (or we say farewell to the group), and at the reception meeting of the new members. 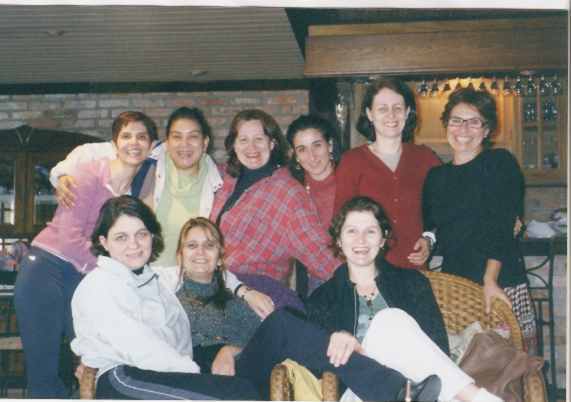  With the growth of the circles and the need to re-scale their structure in 1999, we chose to no longer have the ``godmothers-goddaughters`` bond. 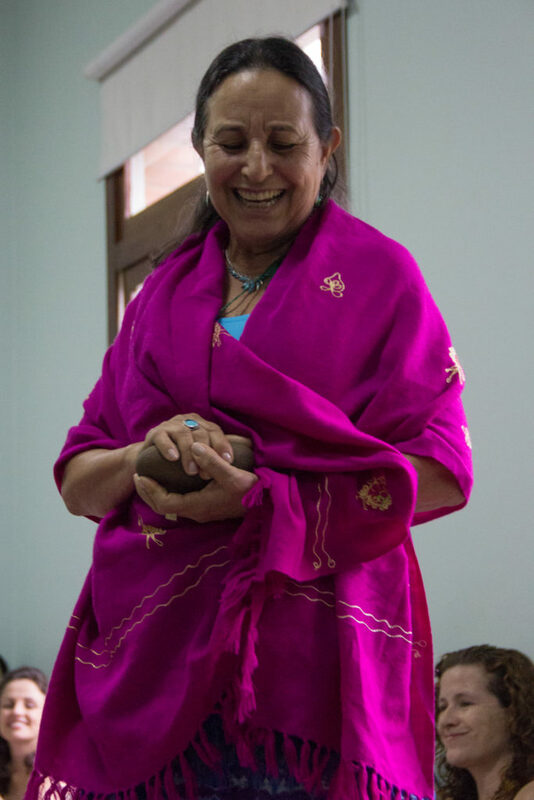 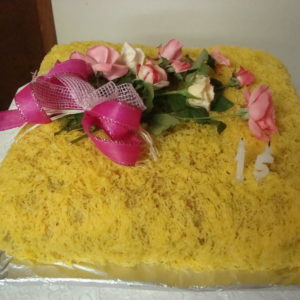 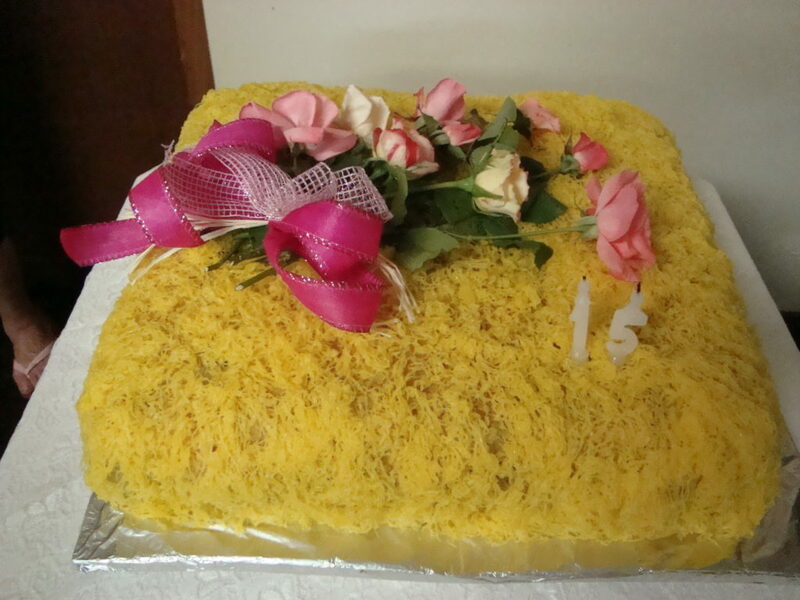 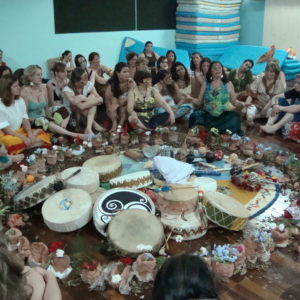 However, older women continued to receive the younger women with the same ritual. 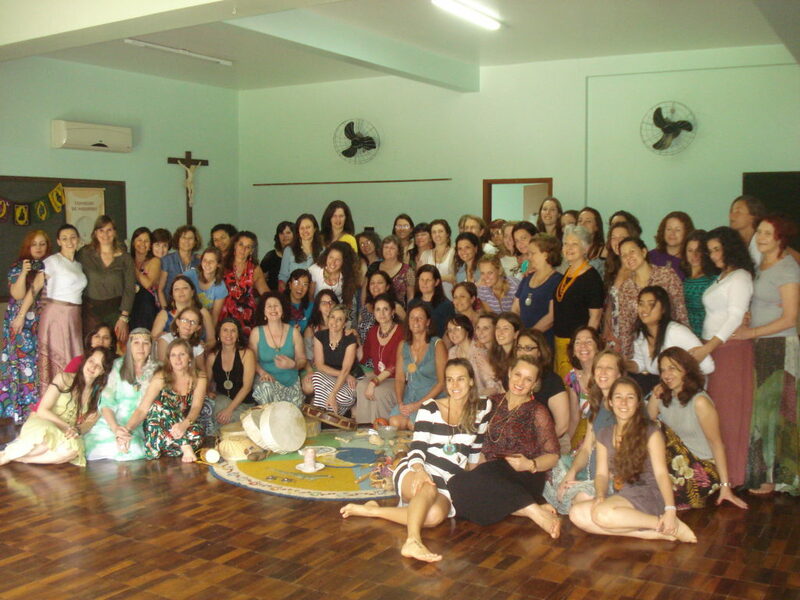 During the year we promote activities that allow women of all generations to meet. 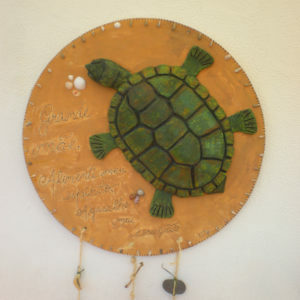 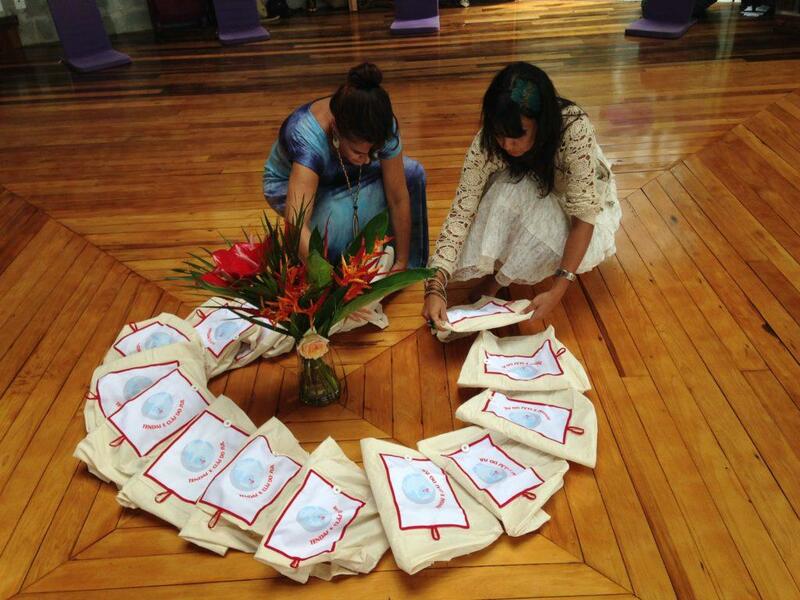 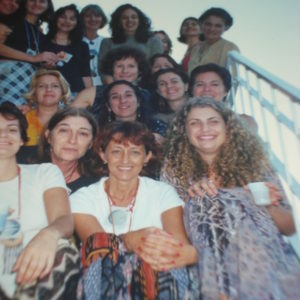 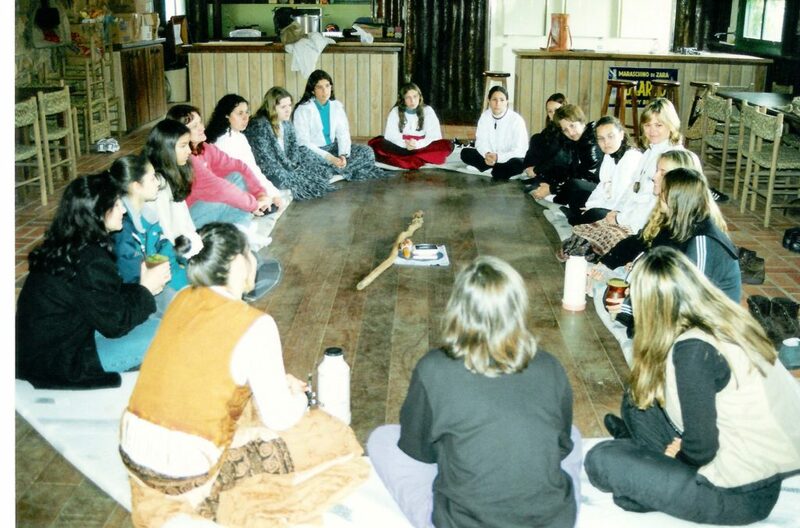 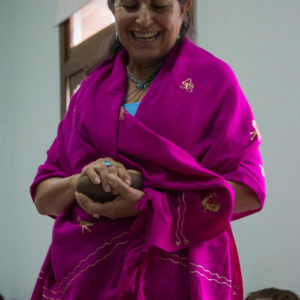 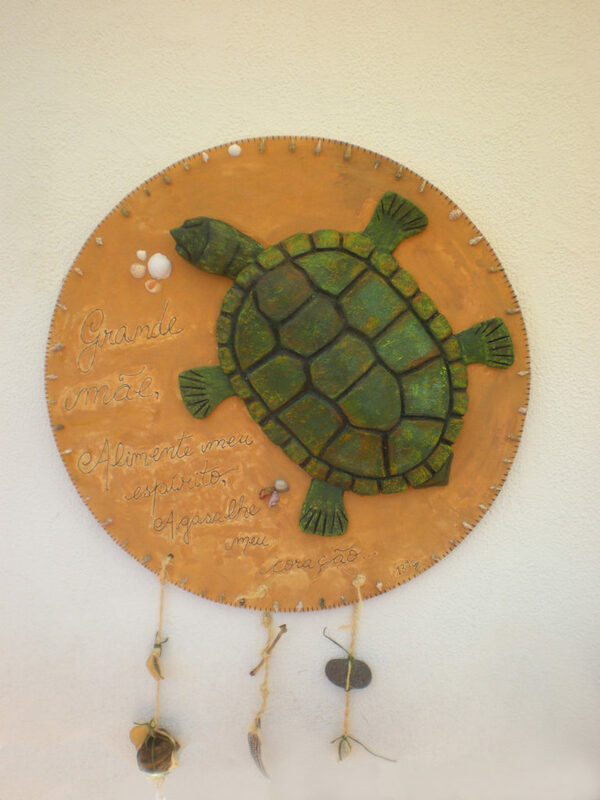 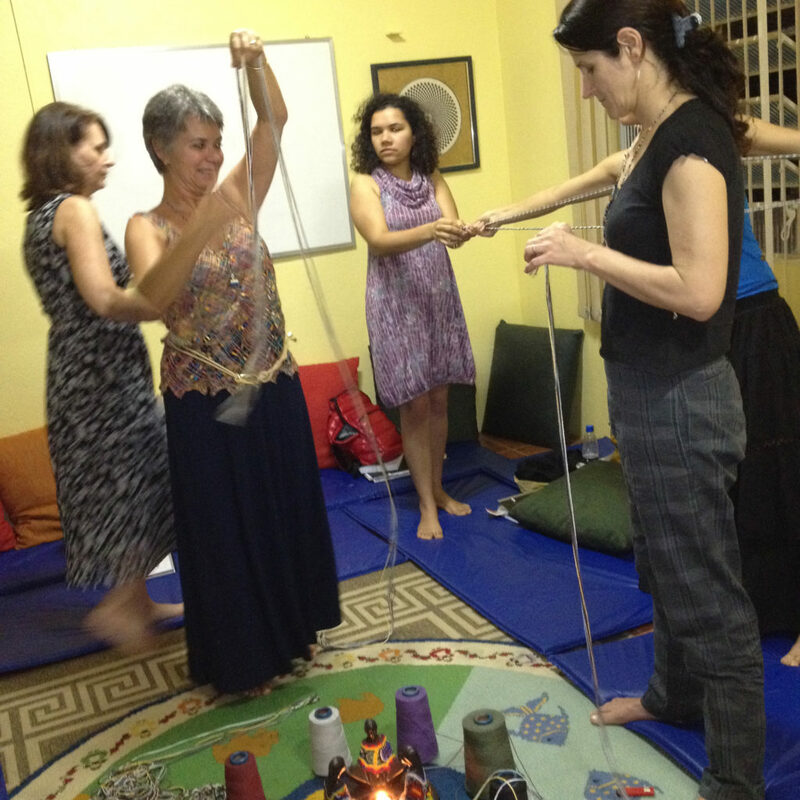 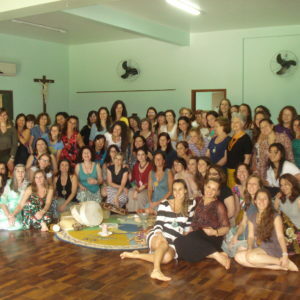 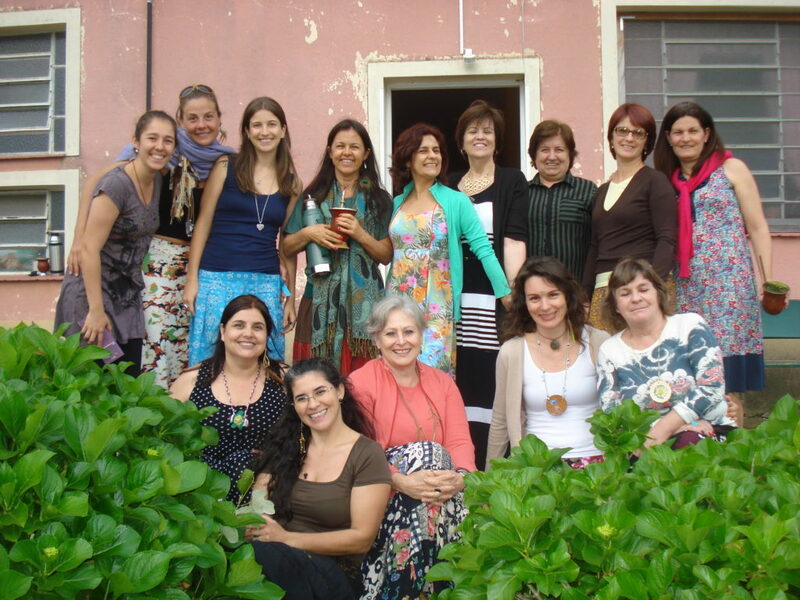 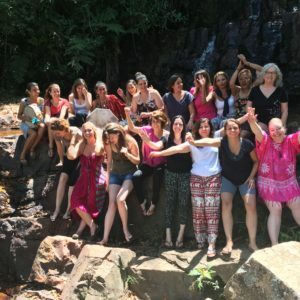 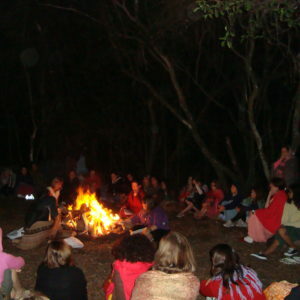 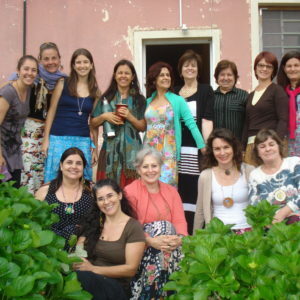 Due to the increasing demand of women interested in participating in the circles, a training course of facilitators was created, accrediting those who feel affinity with the eighth purpose that guides our group ethics: ``Honoring the planetary service of becoming a multiplier agent; leading women's groups where the purposes are similar to these or working for the multiplication of consciousness``. 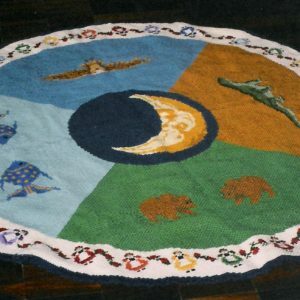 Throughout this time, we have truly become a clan inspired by the sacred that we revere within and out of us. 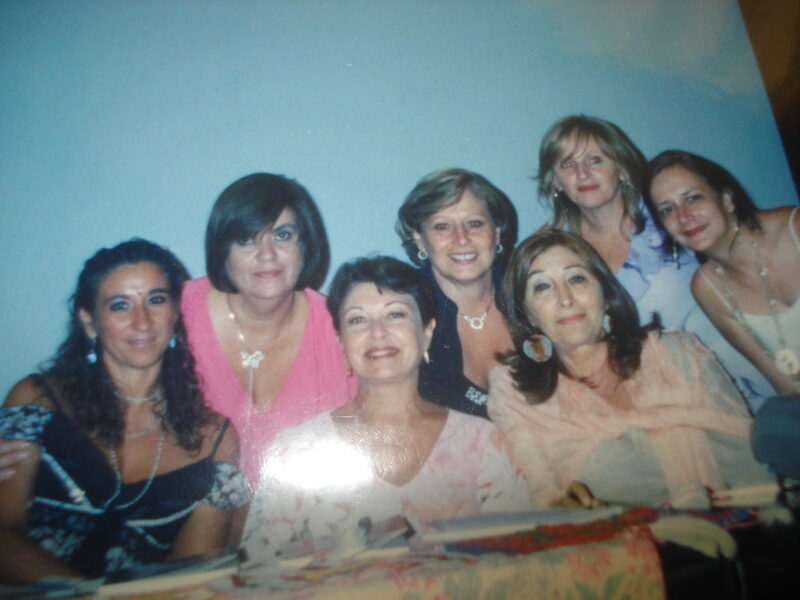 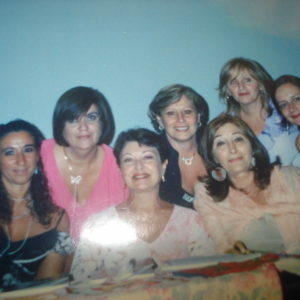 More than a simple group, today we are a sisterhood, a circle, made of bonds of love, friendship and respect. 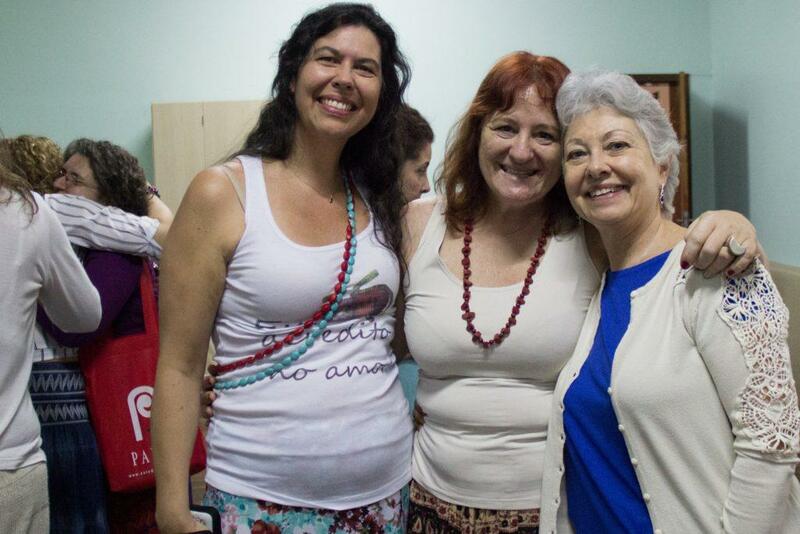 Those feelings unite and protect us! 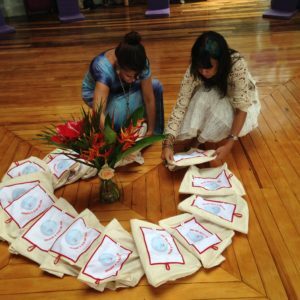 We are sure that everything happened as it happened (and is still happening) because we are responding to a cosmic imperative of individual, social and planetary change. 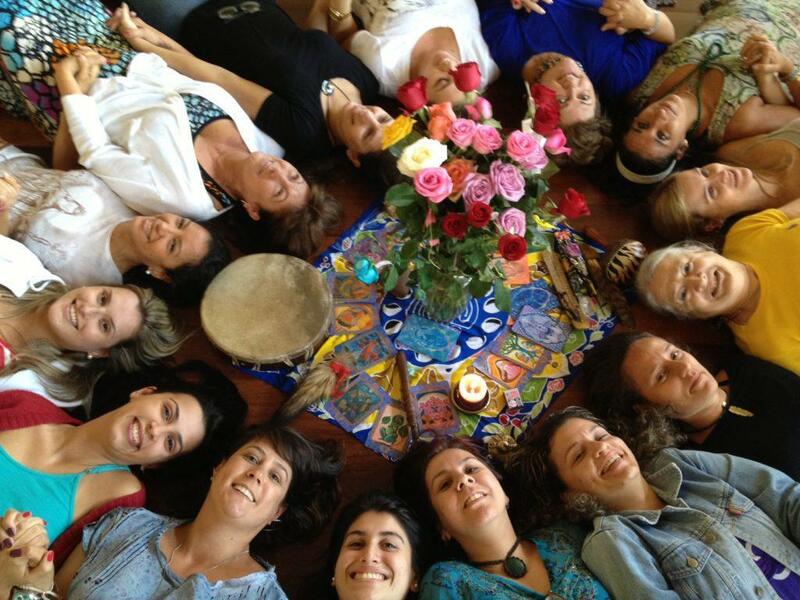 This appeal comes from both our Earth and Heaven and we have the courage to become our better versions. 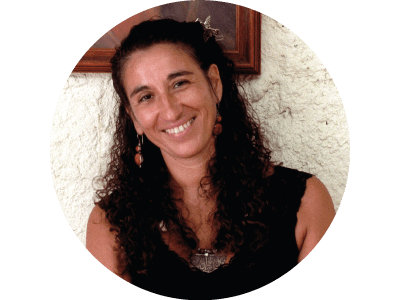 We materialize our dreams of healing by believing first and foremost in Love as the original and ultimate expression, the reason for everything and everyone to exist in this space-time that fit us as humankind.